For our sustainable Organic Produtcs we use high-quality ingredients: sun ripened herbs, GMO-free maize, cold-pressed sunflower oil, salt from the Salzkammergut. 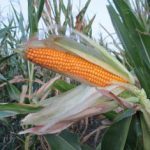 We utilize contents that we either take from our own production – like our Bio Maize – or we obtain them from local producers. We entirely waive artificial flavours and genetically manipulated seeds. Maize is a plant species from the sweet grass family. Maize was domesticated in Central Mexico. First findings date back to 3500 a. Chr. Already in the year 1525 the first maize fields were cultivated in Spaniel. Christoph Columbus discovered this plant in the Caribbean and brought it to Europe. The word „Mays“ originates from there. In Austria, especially in East Austria, the word KUKURUZ is used. It originates from the Hungarian language. 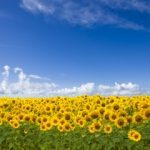 Cold- pressed sunflower oil has the taste of nuts and its colour is golden- yellow. Sunflower oil shows a high concentration (appox. 50%) of unsaturated fatty acids. Polyunsaturated, in this case Omega-6- fatty acids, have a beneficial effect on the cholesterol level. This oil also has a high content of vitamin E.
A real power package: Garlic supplies the body with the vitamins A,B and C. Furthermore it contains numerous minerals like: selenium, iodine, potassium, iron, calcium, zinc and magnesium. 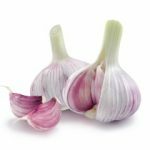 Garlic also has a beneficial effect on our immune system as well as on our cardiovascular system. It even supports to lower the level of cholesterol and brings down the blood pressure.